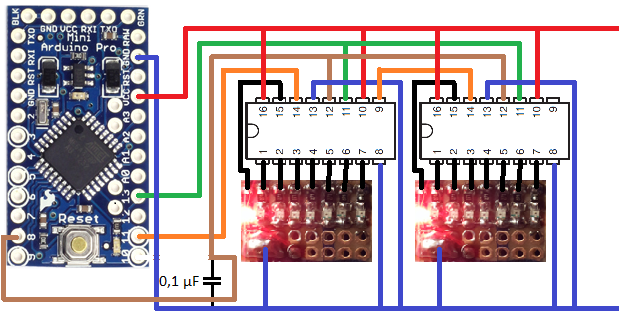 This guide shows how to get outputs with 74HC595 and a Ardruino pro mini - Here only used as output !! 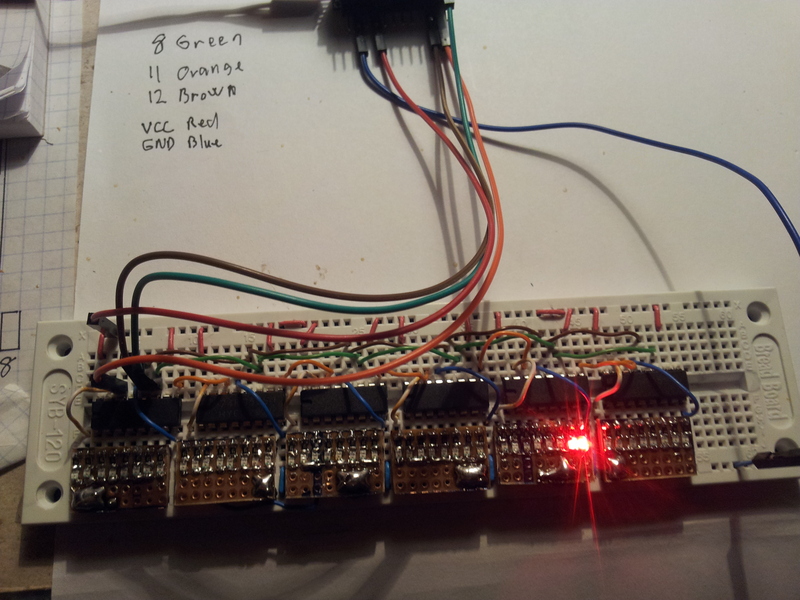 starting with 1 shift register, then 2.. Later you can daisy-chain the shiftregisters to get unlimmit number of outputs ! Depending on the speed you what to change the outputs with. 1 0,1µF 0.02 US $ 2.50 @ 100 pcs - May not be nesseray - only if you have some flicker. Connect the circut, as shown. // MISO pin(do NOT use!) 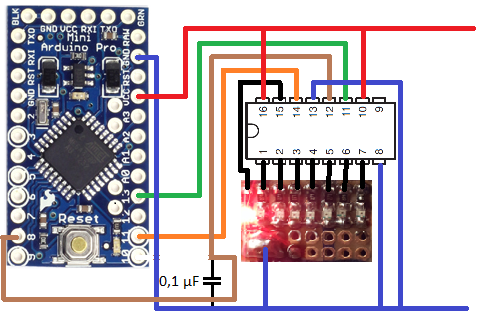 = 12;	// Do not use the MISO pin for anything, because this interferes with SPI operation!